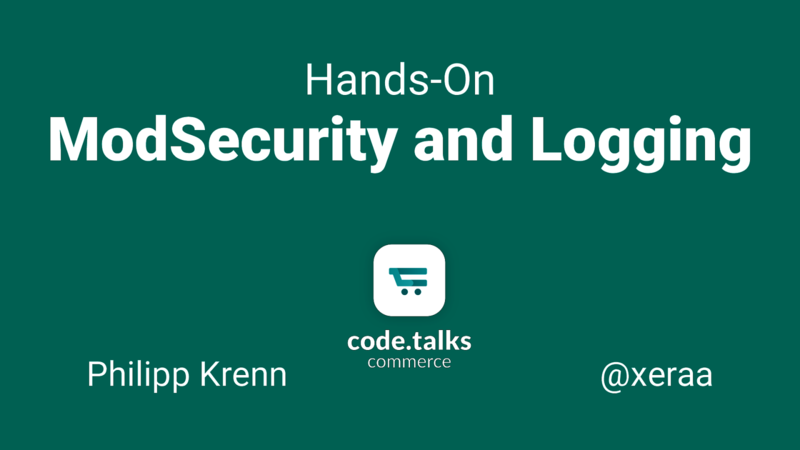 View Hands-On ModSecurity and Logging. Injections (A1:2017): We are using a simple application that is exploitable by an injection and will then secure it with ModSecurity. Insufficient Logging & Monitoring (A10:2017): We are logging and monitoring the application both with and without ModSecurity with the open source Elastic Stack. To make it more interactive the audience has to do the injections, which we are then live monitoring and mitigating with ModSecurity. Fighting SQL injections and insufficient logging.